The luxurious royal entrance hall connected to the palace yards was a theater in which dignitaries, nobles and princes competed to show off their combat talents and noble arts skills. 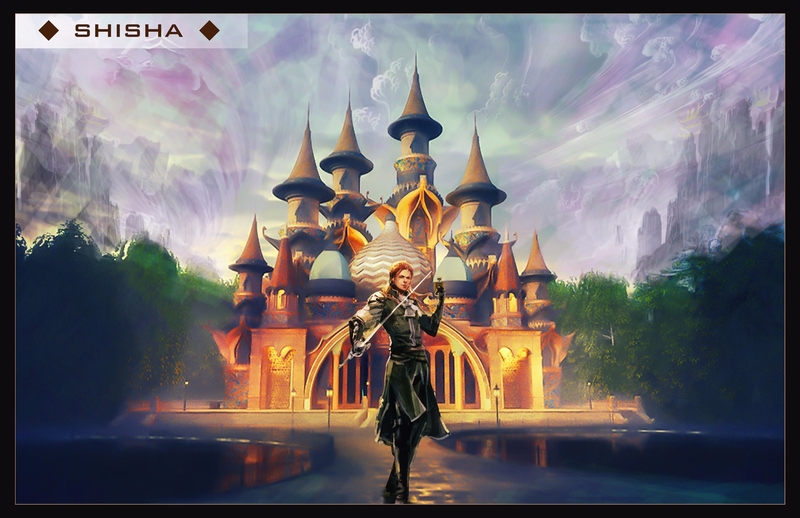 They display their mastered skills and compete to obtain a royal title. The show would always end with a ceremony in which the best performer was crowned with a Royal Medal. Today, unusually, the faces of the princes were full of wonders… puzzlement, as each of them sat on his royal chair, waiting for the arrival of the long-lost prince. He embarked on a journey with a group of wise men and perfumers in a search for a new royal perfume that no one of the dignitaries has ever tried and that would be a part of the royal challenge. The guards arrived and went to the door of the gate to open it quickly ... The Prince arrived and pointed to the wise men of the palace to provide each of the princes of a bottle of fragrance, for which he spent months to gather the components and only few moments after, the palace was full of the luxury perfume shisha and The royal palace was surrounded by a fragrance of magic that provoked the noses ... and what everyone noticed was that there was a very much like smell of shisha ... how not and this fragrance combines Apples flavor ,Turkish rose, tobacco extract, tuna, patchouli, sweet vanilla and pure musk. 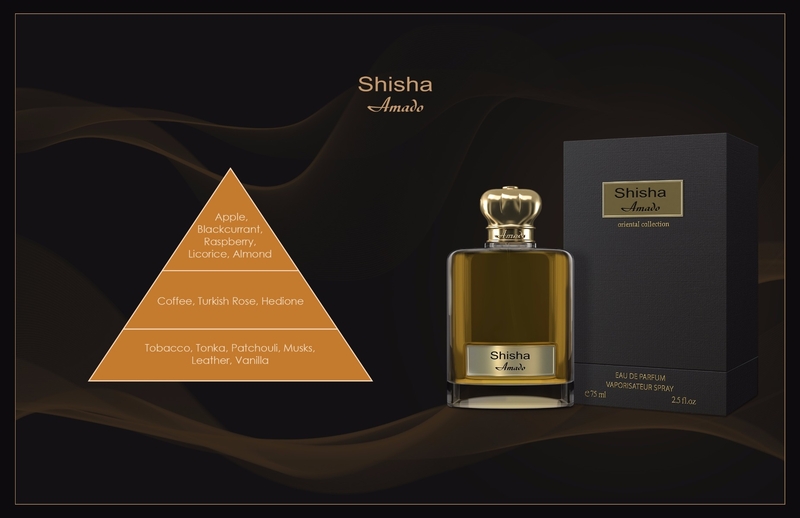 A feeling of relaxation and a meditation sense will take you and you embrace the bottle of new Shisha perfume. It's full of calming sensations and inspiring feelings. It has a unique fragrant apples with Shisha flavor. Unique and garmented with the aroma of delicious coffee processed with tuna and patchouli. The Perfume is very close to the flavor of original shisha mixed with flannel softness and musk charm.